Macau, a China District with Mixed Culture! My image of China is a powerful country, because China is the second biggest country in the world and has the largest population (1.3 billion people!) So there are many cultures and conceptions in China. As you know, Chinese traditional culture is famous all over the world! But this time, I would like to tell you about one district that's a strange part of it. Do you know the district of Macau? Macau was selected as a World Heritage Site in 2005. The biggest character there is a mixed culture of Chinese and western. We can find the reason why Macau has a mixed culture from its history. The reason is simple. It's because Macau was a district under the direct control of Portugal, like Brazil. In 1513 the Portuguese visited Macau & designated it to be the central city for the Christian mission in east Asia. In 1999 Macau was returned to China. As a result, many western cultures remained. Especially, casinos are conspicuous, and Macau is called the "eastern Las Vegas." Like this, we can find Macau has a mixed culture. I think it's a very interesting thing about the existence of this district with a mixed culture!! 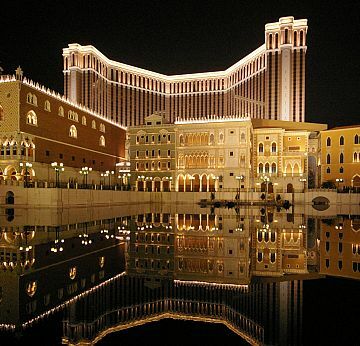 Through writing this essay, I became to want to go to Macau to experience the mixed culture! !